Did Spiroloculina antillarum, Articulina carinata, Coscinospira hemphrichii, Peneroplis pertusus, P. planatus, Sorites orbiculus, Astacolus insolithus, Siphonina tubulosa, Amphistegina lessonii and A. lobifera reach the Mediterranean via the Suez Canal? Many of the Indo-Pacific originated marine alien species are accepted to be introduced to the Eastern Mediterranean from Red Sea after the opening of Suez Canal and then dispersed towards the Western Mediterranean, as well as the Aegean Sea. However, alien foraminifer species, such as Spiroloculina antillarum, Coscinospira hemprichii, Peneroplis pertusus, P. planatus, Sorites orbiculus, Astacolus insolithus, Siphonina tubulosa, Amphistegina lessonii and A. lobifera have been found in the sediments from southeastern Turkey, which dated much before the Suez Canal. In Akkuyu (Mersin) Amphistegina lobifera were found to be abundant in sediment samples and the OSL (thermolunisence) method surprisingly revealed ages, 227.3±17.8 (Middle Pleistocene), 87.7±9.6 (Late Pleistocene) and 6.0±0.6 (Holocene) thousand years before present. This finding suggests that some alien foraminifers might have entered the Eastern Mediterranean, not from Suez Canal, but through the Red Sea-Gulf of Aqaba-Dead Sea Fault line and Arabian Gulf-Mesopotamia Basin. As a result, the historical pathways, other than Suez Canal should be taken into consideration when defining the mode of introduction for Indo-Pacific originated alien species found in the Mediterranean. Göksu, Y. H., Özer, A. M., Çetin, O., 1990, Mollusk kavkılarının elektron spin rezonans (ESR) yöntemi ile tarihlendirilmesi. İstanbul Boğazı Güneyi ve Haliç’in Geç Kuvaterner (Holosen) Dip Tortulları, 95-97 (ed. E. Meriç), İstanbul. Hottinger, L., Halicz, E., Reis, Z., 1993, Recent foraminifera from the Gulf of Aqaba, Red Sea. Slovenska Akademija Znanosti in Umetnosti, 179 p. (pl. 1-230), Ljubljana. Kırcı-Elmas, E., 2013, Benthic foraminiferal distribution (living and dead) from a permanently stratified marginal sea (Marmara Sea, Turkey). Journal of Foraminiferal Research, 43 (4), 340-360. Kırcı-Elmas, E., Meriç, E., 2016, Foraminiferal fauna of the Sea of Marmara. In: The Sea of Marmara, Marine biodiversity, fisheries, conservation and governance, 401-417 (eds: E. Özsoy, M. N. Çağatay, N. Balkıs and B. Öztürk), 957 p., Turkish Marine Research Foundation, No: 42, İstanbul. Langer, R. M., Weinmann, A. E., Lötters, S., Rödder, D., 2012, “Strangers” in paradise modeling the biogeographic range expansion of the foraminifera Amphistegina in the Mediterranean Sea. Journal of Foraminiferal Researc h, 42 (3), 234-244. Meriç, E., Sakınç, M., 1990, Foraminifera. İstanbul Boğazı Güneyi ve Haliç’in Geç Kuvaterner (Holosen) Dip Tortulları, 13-41 (ed. E. Meriç), İstanbul. Meriç, E., Kerey, İ. E., Avşar, N., Tuğrul, A. B., Suner, F., Sayar, A., 2003, Haliç (İstanbul) kıyı alanlarında (Unkapanı-Azapkapı) gözlenen Holosen çökelleri hakkında yeni bulgular. H. Ü. Yebilimleri, 28, 9-32, Ankara. Meriç, E., Avşar, N. and Bergin, F., 2004, Benthic foraminifera of Eastern Aegean Sea (Turkey) Systematics and Autoecology. Turkish Marine Research Foundation and Chamber of Geological Engineers of Turkey, Publication No: 18, 306 p., 33 plts, Istanbul. Meriç, E., Öner, E., Avşar, N., Nazik, A., Kapan-Yeşilyurt, S., Göks u, Y., Kaya-Keleş, Ş., Yokeş, B., Kam, E., Candan, O., Dinçer, F., 2014, Gökçeda kuzeydoğusundaki saklı koy’da paleontolojik verilere dayalı yeni bir bulgu: Büyük Dere Koyu. T.P.J.D. Bülteni, 26 (1), 67-97, Ankara. Meriç, E., Yokeş, M. B., Avşar, N., Kıyak, N. G., Öner, E., Nazik, A., Demirtaşlı, E., Dinçer,F., Öztürk, M. Z., 2015a, Did Amphistegina lobifera Larsen reach the Mediterranean via the Suez Canal?. Quaternary International, 401, 91-98. Meriç, E., Öner, E., Avşar, N., Nazik, A., Güneyli, H., İslamoğlu, Y., Yokeş, M. B., Dinçer, F., 2015b, Did the Red Sea-Mediterranean connection over the Dead Sea Fault Zone end in the Leate Pliocene?. Quaternary International, 401, 123-131. Meriç, E., Avşar, N., Yokeş, M. B., Dinçer., F., Karhan, S. Ü., Kalkan, E., Demir, V., 2016, Benthic foraminiferal assemblages from the Eastern Levantine coast of Turkey. 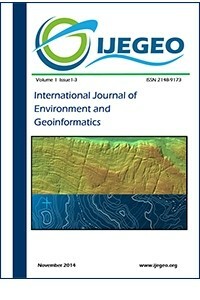 International Journal of Environment and Geoinformatics, 3 (2). 38-44. Önal, B. Ç., 2004, Haliç (Unkapanı-Azapkapı) Holosen çökellerinin foraminifer faunası. İstanbul Üniversitesi Fen Bilimleri Enstitüsü, yayınlanmamış Yüsek Lisans Tezi, 81 s., İstanbul. Popov, S. V., Rögl, F., Rozanov, A. Y., Steininger, F. F., Shcherba, I. G. and Kovac, M., 2004, Lithological-Paleogeographic maps of Paratethys, 10 maps Late Eocene to Pliocene. Our. Forsch.-Inst. Seneckenberg, 250, 1-46, Frankfurt a. M., Partly x sponsored by European Science Foundation. Popov, S. V., Shcherba, I. G., Ilyina, L. B., Nevesskaya, L. A., Paramonova, N. P., Khondkarian, S. O. and Magyar, I., 2006, Late Miocene to Pliocene palaeogeography of the Paratethys and its relation to the Mediterranean, Palaeogeography, Palaeoclimatology, Palaeoecology, 238 (1-4), 91-106. Schmidt, C., Morard, R., Prazeres. M., Barak, H., Kucera, M., 2016, Retention of high thermal tolerance in the invasive foraminifera Amphistegina lobifera from the easternn Mediterranean and the Gulf of Aqaba. Marine Biology, 163, 228. Suner, F., Meriç, E., Avşar, N., Önal, B. Ç., 2012, Haliç (İstanbul-Kuzeybatı Türkiye) Holosen çökellerinde bireysel jips oluşumu ile bentik foraminifer ve ostrakod topluluğu ilişkisi, T. P. J. D. Bülteni, 24 (1), 49-57, Ankara. Weinmann, A. E., Rödder, D., Lötters, S., Langer, M. R., 2013, Traveling through time: The past, present and future biogeographic range of the invasive foraminifera Amphistegina spp. in the Mediterranean Sea. Marine Micropaleontology, 105, 30-39.